David Hachey’s entrepreneurial journey took him from Harvard University to Wall Street to a farm in rural Nova Scotia. The result of this unique career path is the recent launch of his startup BidSquid, an online marketplace for agricultural products and goods. A New Brunswick native, Hachey studied economics at Harvard then spent a decade as a trader on Wall Street. He relocated to rural Nova Scotia for a simpler life as a farmer, and that gave him the idea for a site on which farmers can sell and buy things. BidSquid directly connects small-scale farmers with consumers to buy and sell bulk produce or other agricultural goods. It works by finding price-based listings for goods like fruits, vegetables, lumber or animal feed for consumers and helps farmers identify the demands in the local market. 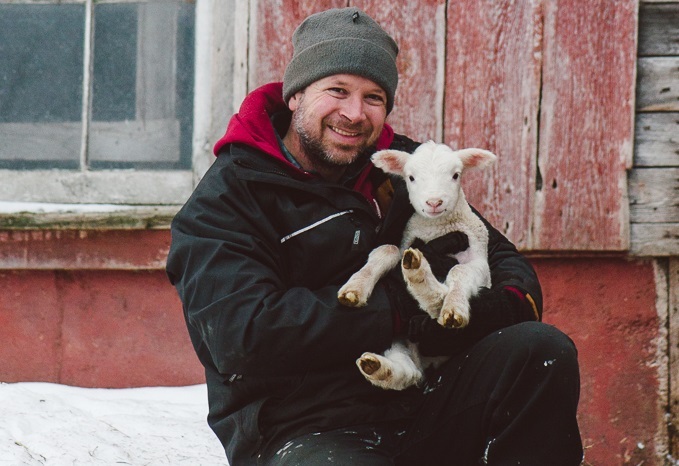 The impetus for this product came in 2010 when Hachey left the hustle and bustle of New York and bought 160 acres of land in Meadowville, Pictou County, where he started a farm and grew a flock of sheep. NB AgTech Company SomaDetect Wins US$1M in Buffalo. In attempting to sell his goods to local consumers via websites like Kijiji and Facebook or even through good old word of mouth, Hachey grew increasingly frustrated over the inefficiency of the local rural economy. Last spring, Hachey went to Sydney, Cape Breton, to learn how to build his startup at UIT, the tech and entrepreneurship program at Cape Breton University. While at UIT, Hachey met Andrew MacDonald, a skilled coder who co-founded BidSquid. MacDonald helped to build the clean, user-friendly website that is BidSquid today. The team was accepted into Propel ICT’s Launch program where they continued to build their business and presented at Propel’s Halifax Demo Day in June. BidSquid also recently qualified for the shortlist for Innovacorp’s 2017 Spark Innovation Challenge. The latest addition to the BidSquid team is Daniel Strock, a former Wall Street colleague of Hachey’s. Strock, who is based out of Philadelphia, will help expand the company to U.S. markets. Since its launch in mid-September, BidSquid has been growing steadily with 100 users already signed up and roughly 40 listings posted. He has bootstrapped the project so far, but is considering trying to raise about $200,000 in the coming months. Hachey wants to see BidSquid gain traction with larger scale consumers, hoping school and hospital cafeterias will start stocking their kitchens from listings found on BidSquid. Hachey also hopes other industries, like the province’s many distilleries and breweries, will use the website. “I really see that as the next wave of the buy local movement,” said Hachey about his triple bottom line business model.